There are few childhood activities more rewarding than breaking open a piñata. When we did it at the neighborhood block party in 1991, the feeling of accomplishment was overwhelming. But eventually, we grew out of piñatas—we could only crack our teeth on so many Dum Dums before it was time to grow up. 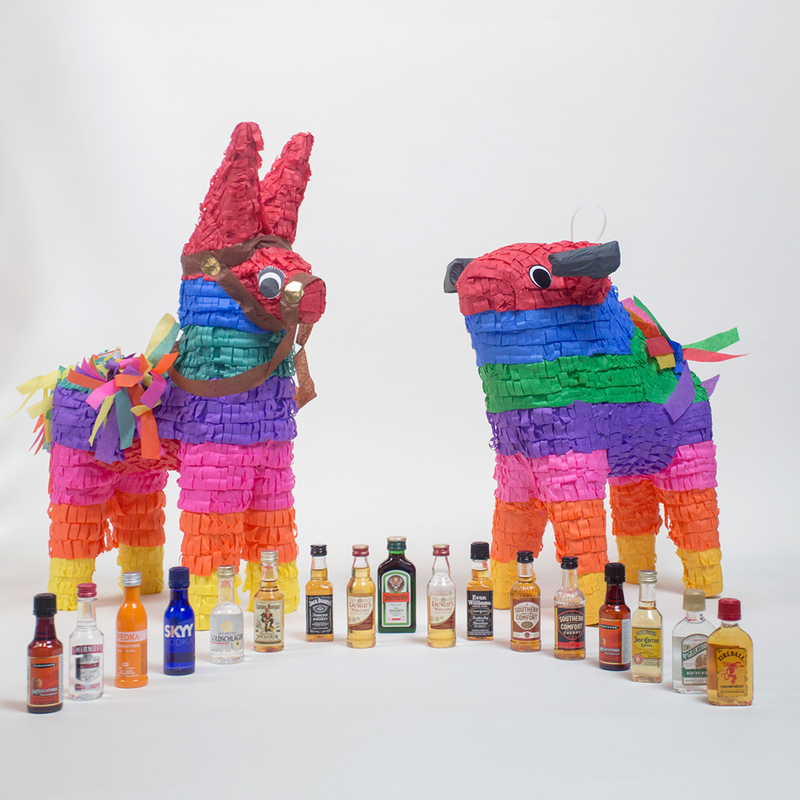 But a company called Nipyata is bringing the joy of the piñata to an older demographic with that secret ingredient: booze. Setting aside the wisdom of adding shots of alcohol to an activity that involves blindfolding someone and making them swing a stick around, the Nipyata will almost certainly provide minutes and minutes of fun (unless you are like one of our uncoordinated former neighbors, in which case a Nipyata might last you all night). Each one comes loaded with tiny, plastic bottles of everything from tequila to whiskey and some candy for good measure. No one should consume their Nipyata prizes on an empty stomach, after all. You can find fully stocked Nipyatas here starting at $44.99, although it is worth noting that someone over the age of 21 will have to be present to sign for the package, and they can’t be shipped everywhere. There are laws against sending alcohol across state lines inside the belly of a papier-mâché burro.